I have been lucky enough to visit Berlin twice this year, and it’s a city that’s starting to feel very familiar to me. If you are thinking about which city to visit in Europe I can definitely recommend Berlin for so many reasons. There’s lots of interesting historic and modern places of interest in Berlin that you can tick of your bucket list during a short visit. For a city that has a very dark past, it’s come along way in terms of it’s culture and there are lots of places you can visit to experience this journey. Another awesome reason to visit Berlin is because it’s a great value travel destination. Compared to other European cities like London and Paris, Berlin is so much cheaper for visiting as a traveller. Now that you’ve checked out flight prices and hotels to stay in I want to help you out with things to do in Berlin. If you are planning on a short city break, this 48 hour travel guide is going to be perfect for you, and you know your going to be getting some top insider travel tips too. 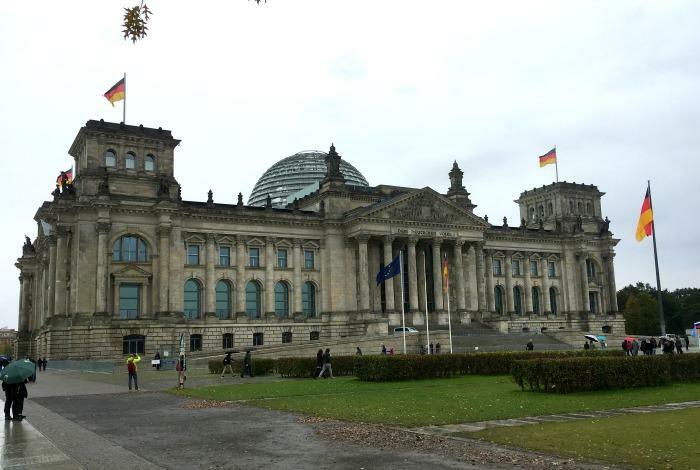 I’m putting the Reichstag building first as not only is it one of the most significant buildings in Berlin and Germany, but you also need to plan in advance if you want to enter the iconic glass dome. This magnificent building is where the German parliament resides and it’s shaped much of Germany’s history. You can take a guided tour, see the German parliament in session from the glass ceiling in the dome or take a spot in it’s famous restaurant. To make an online booking you need to register 2 weeks in advance. If you turn up, especially on a weekend, the chances are you won’t get a time slot for that day, but you might be able to book for the next day. It is less busy in the week, so you might be more successful and getting a suitable day and time if you avoid weekends. 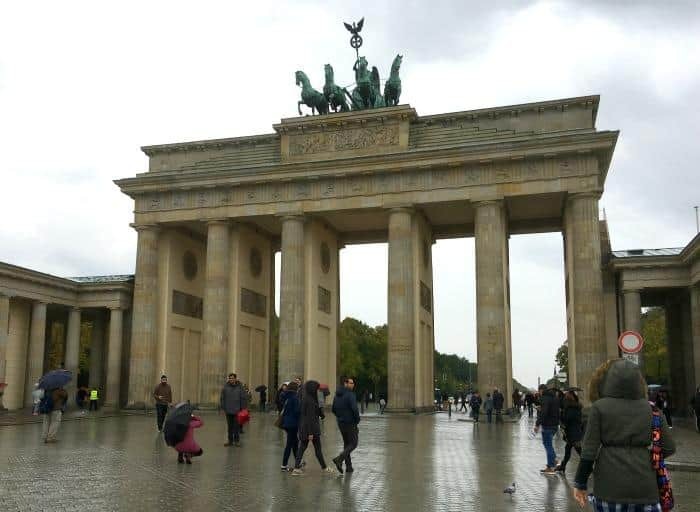 Brandenburg Gate is a short walk from the Reichstag so make sure you visit here while in the area. It’s one of Berlin’s most iconic monuments and lends itself well to a travel photo or two. It does get busy though, so you might want to visit early in the day. 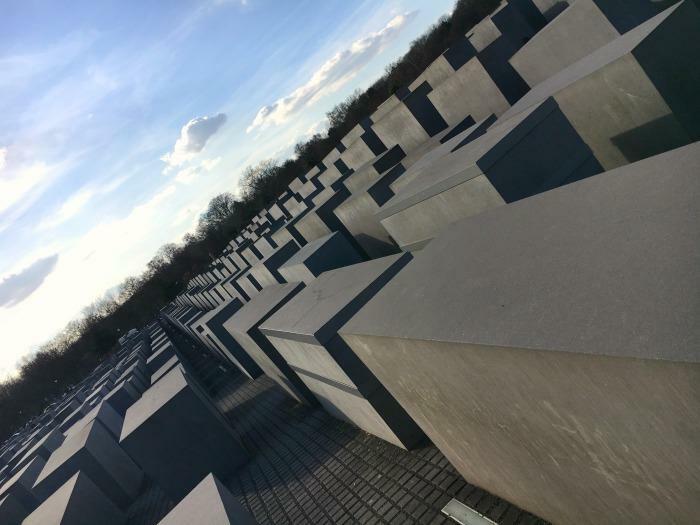 The Holocaust Memorial, also known as the Memorial To The Murdered Jews of Europe is about a 5 minute walk away from Brandenburg Gate and is an interesting monument to the atrocities that took place during World War II. From one angle the rows of grey blocks look haphazard and all over the place, then from another they have complete order. To learn more about the memorial and the events which took place there is an underground visitors centre you can visit also. Checkpoint Charlie is one of the most interesting political sites you’ll visit in Berlin, symbolising the divide between East and West before the famous wall came down. Here you’ll learn about the political powers at the time and the events that led to the Berlin Wall coming down. It’s a must see, especially if it’s your first visit to Berlin. This might not be everyone’s cup of tea, but I thought I would add it as it’s a place I stumbled upon whilst walking from Brandenburg Gate to Alexanderplatz. 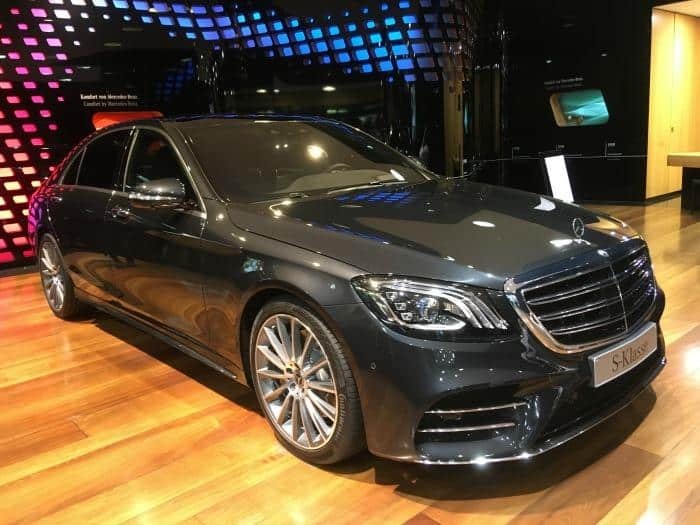 The Mercedes Benz Gallery is free to enter and it exhibits some of the best cars from the Mercedes Benz collection. There were lots of people who were clearly fans of this car manufacturer looking around, and the kids seemed to enjoy getting inside the cars and trying them out for size. The Berlin TV Tower is Germany’s highest building and towers above the Berlin skyline. You can go up and enjoy the views of the city over a drink or book a table at the revolving restaurant. Which ever you chose, it’s a great way to experience Berlin both by day and at night. If you are looking for some entertainment during your visit to Berlin, I can promise you that you can’t go far wrong if you book tickets to see the latest offering from Chamäleon Theatre. 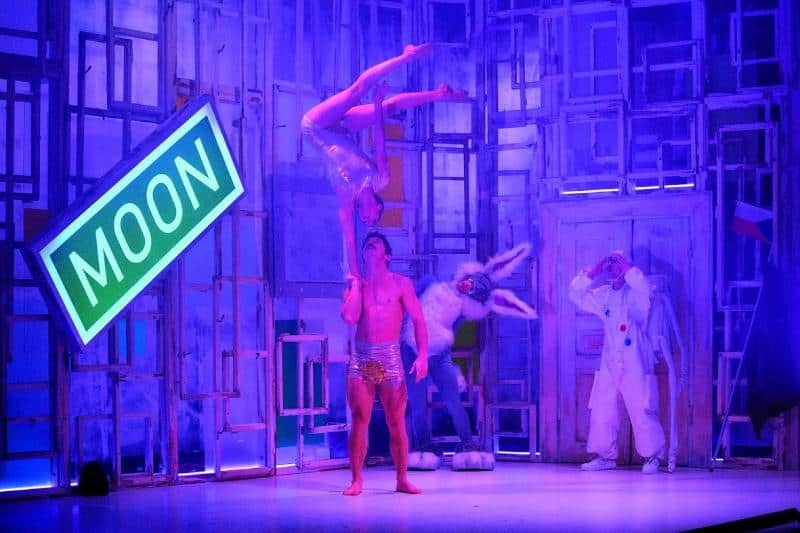 It’s the place to see new contemporary circus in Berlin, and it’s perfect for all visitors as the shows do not rely on the spoken word to tell the story. You can read more in my reviews of Parade and Scotch & Soda. 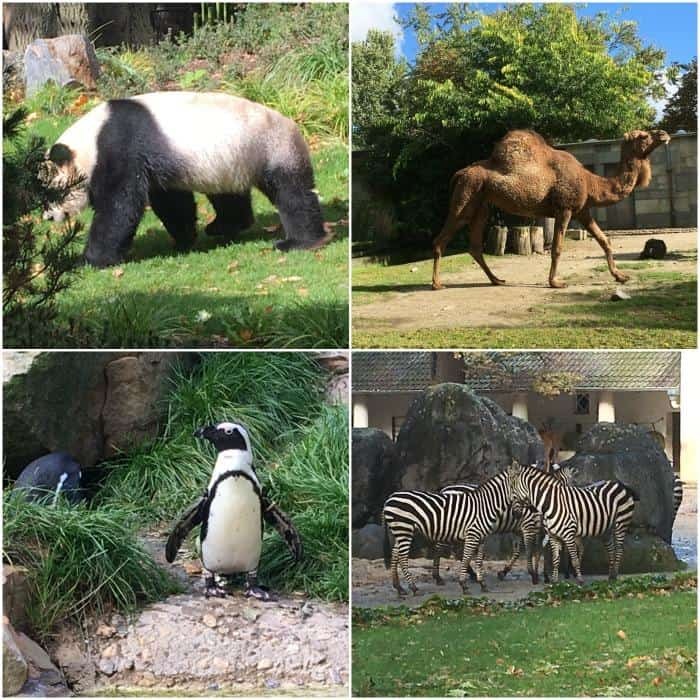 Berlin has an excellent zoo with an amazing collection of animals. It’s a excellent place for families to visit because not only will you get to see pandas, elephants, giraffes and many more, but it also has an excellent outdoor play area. The zoo is covered in trees, so there’s lots of shade, even on the sunniest of days. You will easily spend half a day here enjoying walking around the different enclosures. Whilst in the area, it’s also worth popping into the Kaiser Wilhelm Memorial Church. You can’t miss it as it’s the church tower that’s missing the rest of the building. It’s been kept as a memorial to the events during World War II but still acts as a place of worship. Next door is the ‘new’ church which is also worth a visit. Before you leave the Bikini area, I can also recommend popping into the Jim Block Burger Bar opposite the church memorial. They make an excellent burger, with various toppings, and it will probably be time for lunch as well. You can catch the S-Ban directly to Hackescher Markt and there’s a few things you can see here. I’d call it one of the prettier places to visit in Berlin, but it is also a tourist trap so you might want to avoid eating at the restaurants. That being said, when I visited there were buskers entertaining those visiting the area and I bumped into a group of tourists literally dancing in the street, which was just delightful. I stopped to listen and enjoy the dancing over a coffee and a piece of cake. Museum Island is a short walk from Hackescher Markt and is well worth a visit. There are 5 museums here, so I’m sure there will be something that would take you fancy. Even if you don’t go inside, the gardens and building are pretty spectacular to see as well. 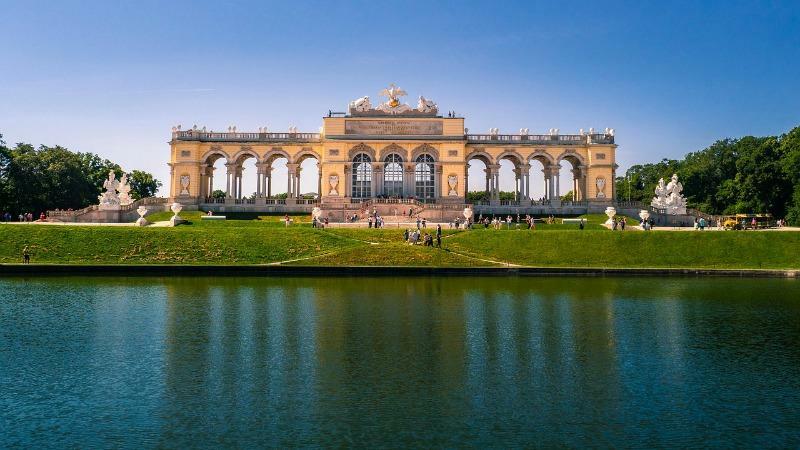 Here are the 5 museums you can visit, in an area also designated a World Heritage. 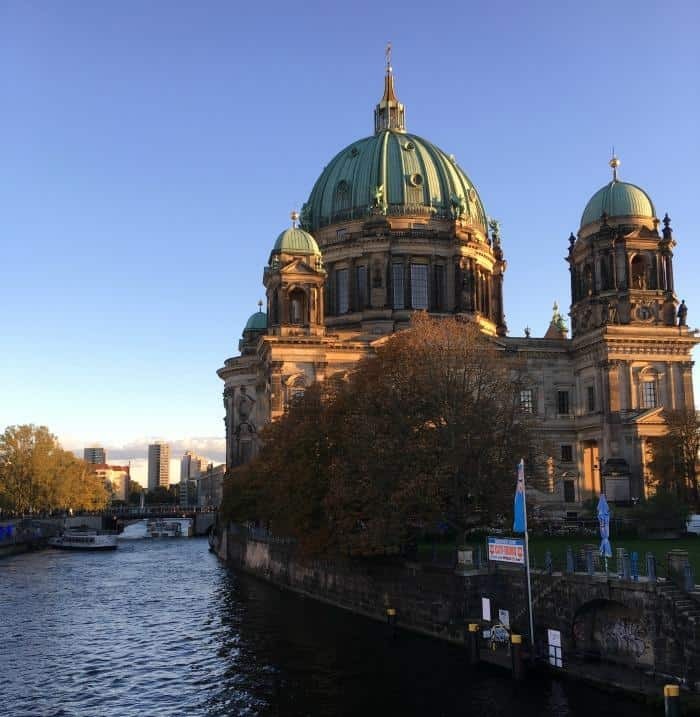 You will see Berliner Dom sitting alongside the River Spree from Museum Island and you can’t help but be drawn to it’s amazing green dome roof. 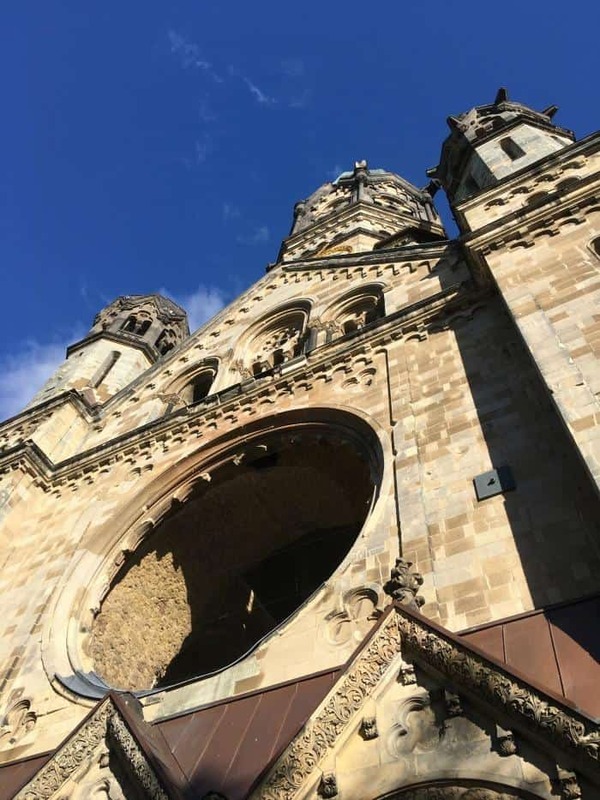 It’s Berlin’s largest church and is definitely a little over bearing from the outside. If you want to explore the cathedral, it costs 7 Euros to enter but you can go up to the roof and there are audio tours and children’s activities for younger travellers as well. If you are visiting Berlin, another travel tip is to pick up a Berlin Welcome Card. This provides access to all the public transport around the city from as little as 19.90 Euros and offers great discounts for a huge variety of Berlin attractions. 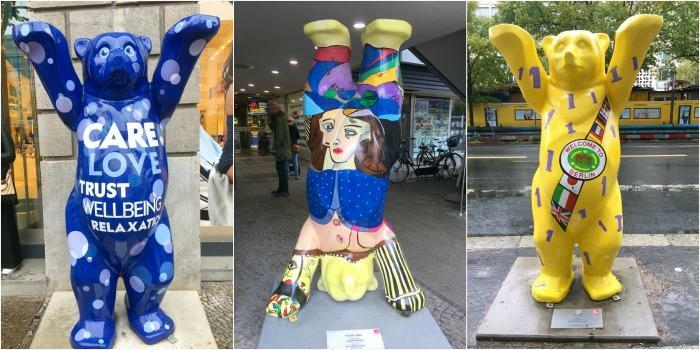 I also found lots of bears on my travels around Berlin. This really added a fun element to my visit as I tried to collect as many as possible. I managed to find 11, I wonder how many you will see? If you visit in October, you will also find various beer festivals around the city. 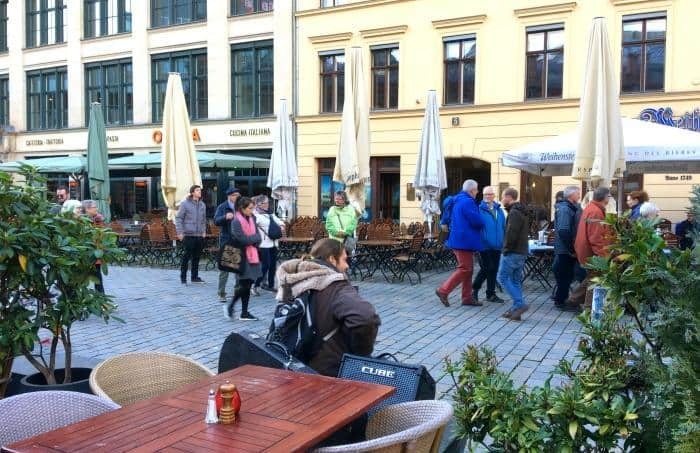 These are the perfect place to sample the local beer and a bratwurst, which I think is a must for any visit to Germany. If you are looking for hotels in Berlin I can recommend both the Hotel Palace Berlin and 25 Hours Berlin. I was invited to Berlin by Chamäleon Theatre and gifted a Berlin Welcome Card for the duration of my stay, but all thoughts and opinions are my own. 48 hours really isn’t enough time to see all of that, I never knew there was so much to do in Berlin! Thanks for the recommendations! I was planning to visit Berlin last year but got cancelled last minute, so I hope to visit this amazing city soon. Berlin like there is a lot more to see and do than I imahined. Myseym island sounds interesting. Berlin is definitely on my list. 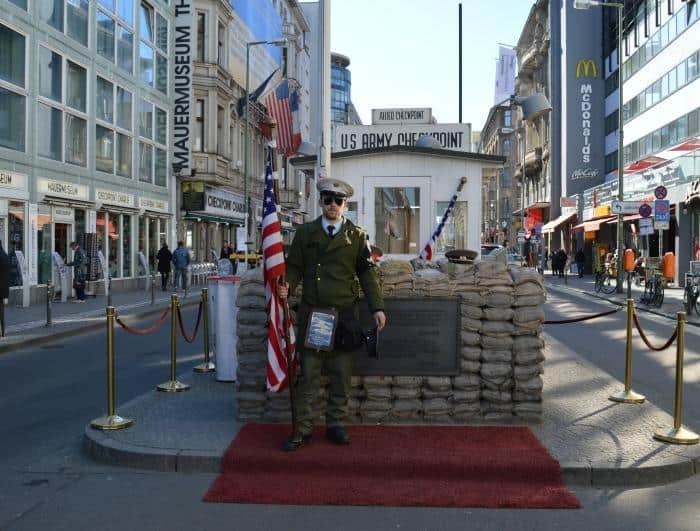 Especially would love to see Checkpoint Charlie and where the wall used to be.